“Mel Brooks Radio” will launch on*Saturday, April 27*at*midnight ET*via satellite on channel 96, as well as via the SiriusXM Internet Radio App for smartphones and other connected devices online at*siriusxm.com. The channel will feature Brooks sharing personal stories and anecdotes about the making of some of history’s most iconic comedies, including*Blazing Saddles, Young Frankestein, Space Balls*and*The Producers, which will be released as a Collector’s Edition Blu-ray/DVD combo on*July 2. *SiriusXM listeners will also hear excerpts from the recently released DVD box set*The Incredible Mel Brooks:* An Irresistible Collection Of Unhinged Comedy*as well as songs from the soundtracks of his films. “SiriusXM’s*Town Hall*with*Mel Brooks,” which will take place on*Thursday, April 18, will air on the limited-run channel “Mel Brooks Radio,” channel 96 (Laugh*USA), on*Saturday, April 27*at*10:00 am ET. For rebroadcast times, please visit*www.siriusxm.com/townhall. Moderated by Apatow, the “Town Hall” special will feature the legendary comedian answering*a variety of questions from the studio audience about his celebrated career, including the new*PBS*documentary,*American Masters Mel Brooks: Make A Noise, which is scheduled to premiere on*May 20, and will be released on DVD on*May 21. “I grew up listening to the radio, so it holds a special place in my heart. *I’m thrilled to be on SiriusXM and only wish I could have listened to ‘Mel Brooks Radio’ when I was a kid, but of course physics got in the way,” said*Mel Brooks. The special is part of SiriusXM’s “Town Hall” series, intimate gatherings with iconic musicians, entertainers and figures and a studio audience of SiriusXM listeners. Previous “SiriusXM Town Hall” specials have featured*Bruce Springsteen,*Willie Nelson,*Billy Crystal, Tom Petty,*Tony Bennett,Quentin Tarantino,*Carol Burnett, Taylor Swift,*Aerosmith, Coldplay,*Ringo Starr, Roger Waters,*Gregg*Allman, Crosby, Stills and Nash and the surviving members of Nirvana. I think I'll go cook up a big pot of beans and invite a few friends to sit around the campfire for this! One of my favorite classic TV shows of all time! Had some great guest stars like: James Caan, Johnny Carson, Ted Knight, Don Rickles, & my favorite Bernie Kopell(Doctor on the Love Boat) who played the unforgettable KAOS agent Siegfried with that pretentious German accent! Indeed that was one funny show. I have the first season dvd. And I think it's on METV tonight at midnight after Svengolie and Voyage to the Bottom of the Sea. I always joke at work about using the cone of silence because nothing is ever kept discreet. "Only missed it by that much!" The exclusive SiriusXM Internet Radio channel SiriusXM Comes Alive! can also be heard on SiriusXM Satellite Radio channel 111 for one week only. Hear live classic rock recordings seamlessly hand crafted, song by song. Even if you weren't there, you can experience these magical moments 24/7 on one channel. Get your lighters out and get ready to rock as SiriusXM Comes Alive! I thought they were bringing back Mel Brooks Radio. SiriusXM Radio announced today that it will launch The David Bowie Channel, the commercial-free music channel featuring the complete works of innovative music pioneer David Bowie. The David Bowie Channel will launch on Wednesday, October 30 at 12:00 pm ET and will run through Tuesday, November 12, via satellite on channel 111. The David Bowie Channel will be available as a 24/7 channel online and through the SiriusXM Internet Radio App for smartphones and mobile devices beginning Wednesday, October 30 for an extended period. The limited-run channel will feature music from the vast body of artistry from Bowie's entire career, from his earliest recordings through 2013's The Next Day. 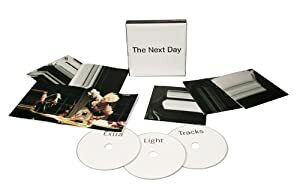 The David Bowie Channel will also exclusively premiere the five unheard songs from Bowie's The Next Day Extra, the 3 disc collectors edition; the songs will only be heard on The David Bowie Channel until November 5, the day The Next Day Extra is released. Listeners will hear rare tracks and demo versions of some of Bowie's greatest songs as well as artists including Beck, Annie Lennox, Nirvana, Tears For Fears, Barbra Streisand, The Wallflowers, The Red Hot Chili Peppers, Duran Duran, Scott Weiland and Dinosaur Jr. interpreting Bowie's music. "'Icon' gets thrown around a lot, but for David Bowie, one of pop and rock music's greatest, most unconventional artists, it's textbook accurate. We can't wait to bring to our listeners a full-time channel that offers an expertly curated deep dive into his artistic genius. From Major Tom to Ziggy Stardust to the Thin White Duke through his latest work, The Next Day, the channel will bring together every phase of his pioneering music, and all will hear this enduring body of work, which is as relevant today as it was at each and every phase of David's storied career," said Scott Greenstein, President and Chief Content Officer, SiriusXM. David Bowie's extensive, legendary catalog is one of the most revered in popular culture, and includes all-time great million selling albums and artistic landmarks such as The Rise And Fall Of Ziggy Stardust And The Spiders From Mars, Aladdin Sane, Young Americans, Low, Heroes, Scary Monsters, Let's Dance, The Buddha of Suburbia and more. Within the featured catalog are Top 30 Billboard hit singles including Space Oddity, Young Americans, Fame, Golden Years, Let's Dance, China Girl and Blue Jean. The David Bowie Channel is an example of SiriusXM channels created with iconic and leading artists, including Bruce Springsteen's E Street Radio, Ozzy Osbourne's Ozzy's Boneyard, Pearl Jam Radio, Eminem's Shade 45, Willie Nelson's Willie's Roadhouse, The Pink Floyd Channel, B.B. King's Bluesville, Elvis Radio, Jimmy Buffett's Radio Margaritaville, Siriusly Sinatra, Tiesto's Club Life Radio and Neil Diamond Radio. For more information on David Bowie and The Next Day Extra, please visit David Bowie | David Bowie's new album "The Next Day" featuring "Where Are We Now?" and "The Stars (Are Out Tonight)" available now.. He's been one of Rock and Roll's most influential musicians for decades...and now he has his own limited run channel on SiriusXM. The David Bowie Channel launches NOW on channel 111 and on line on Ch 715 LE3. I have to wonder what his career would have been like without the killer licks from his guitarist Mick Ronson- really an under-rated and very unheralded musician who also played with Ian Hunter of Mott the Hoople. Ronson was a rockin' guitar player. Bowie always seemed to surround himself with talented musicians and producers. Did everyone enjoy the launch of the "Bowe" channel!? !